The TV, live streaming and radio listings are legal broadcasts of Lazio - Roma in United States. Authentication or subscription with a TV, ISP or streaming provider may be required. Please note that not all channels are available to watch online. If available online, we will link to the official stream provider above before kick-off. Roma will hope to keep their ambitions for a top four spot alive as they travel to face Inter on Saturday. Live Soccer TV's match preview provides teams news, match facts and global broadcast listings for Inter vs Roma. The Bosnian forward could make his return to the English top-flight, having enjoyed success there with Man City. After their humiliation in the Coppa Italia, Roma will be hoping to avoid another bruising defeat at the hands of Fiorentina as they renew acquaintances in Serie A. 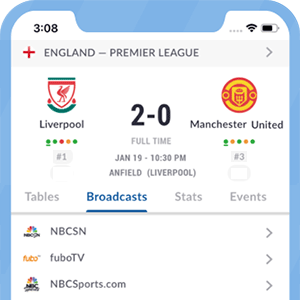 Live Soccer TV's match preview provides match facts, team news, and global broadcast listings for Roma vs. Fiorentina. 12 teams have been confirmed for the upcoming summer pre-season tournament, with games set to be played in the USA, Asia, and Europe.